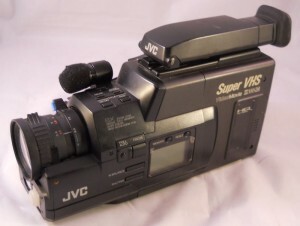 A JVC GR-S77U SVHC Super VHS-C Camcorder was carried by Ray in the museum scene in GB2. 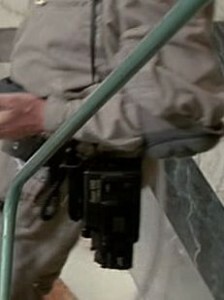 Although it is configured only for right-handed filming, he wears it slung from his left shoulder. 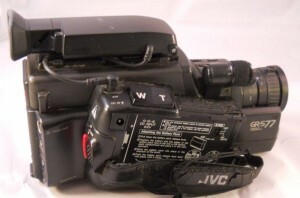 The similar camera seen in the uppermost two reference photos now resides in the collection of Alex Newborn.